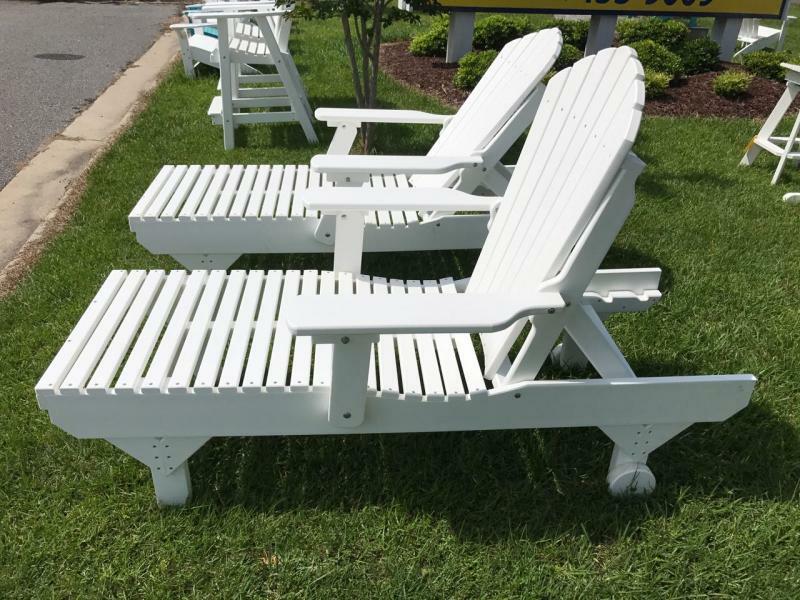 ﻿All of our "Ohio" Amish-built furniture comes fully assembled to our store. Unfortunately, we do not offer shipping on these items. 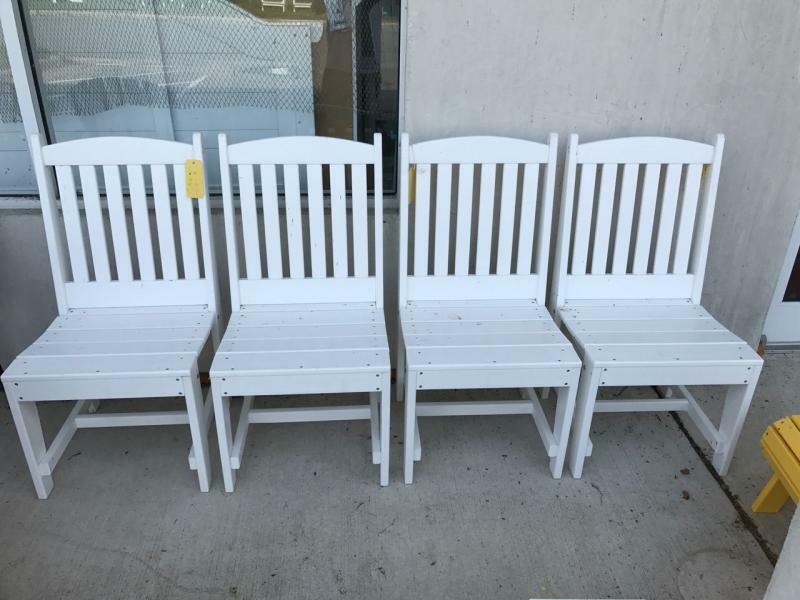 However, dropshipping to your door is available for our "Iowa" Amish-built furniture. 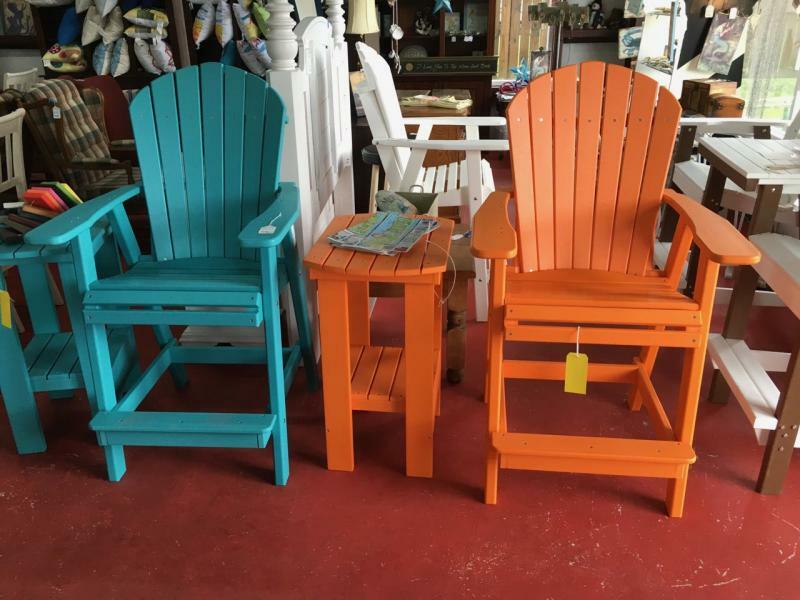 We now carry products from multiple manufacturers specializing in high-density polyethylene (HDPE) 100% recycled plastic or "Poly" furniture. 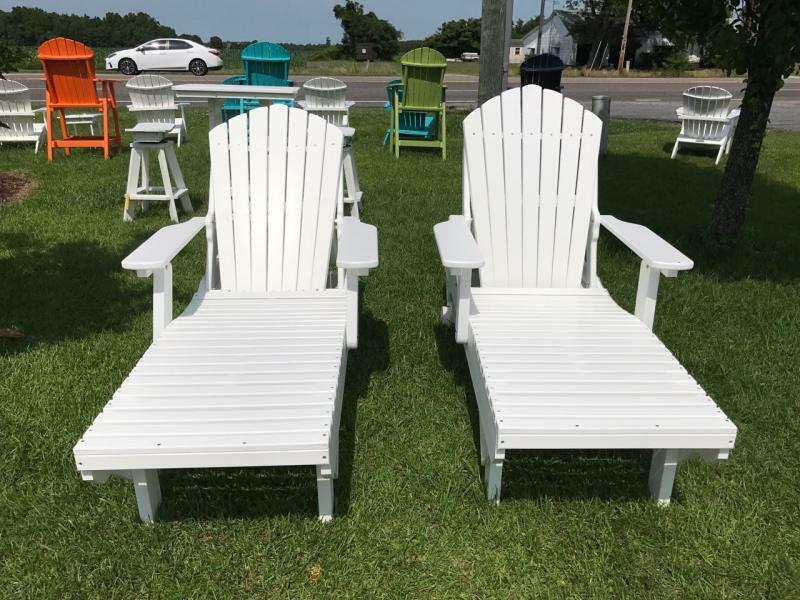 Our poly furniture is an environmentally responsible product that is sturdy, fade resistant, almost maintenance free and will stand up to the harsh Outer Banks climate as well as﻿ all seasons of weather from coast to coast. Occasional washing with soap and water or to remove accumulations of dirt, mold or mildew, use a cleaner with bleach such as Tilex. These are all high quality, heavy duty products built for years of use backed by a 20 year structural warranty. We also use marine-grade stainless steel hardware to resist rust and corrosion, however all hardware needs frequent rinsing and/or rain to minimize rust formation especially in coastal salt air environments like the Outer Banks. 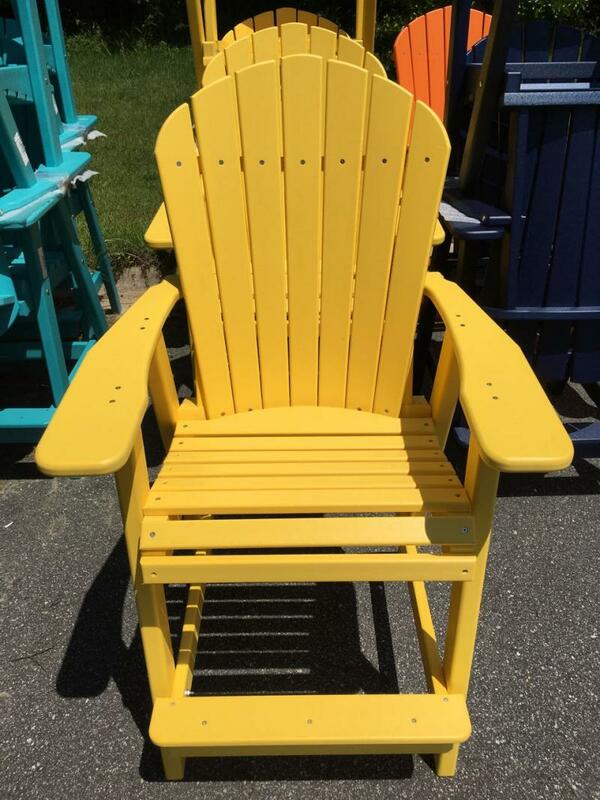 We try to stock our most popular items such as Bar Height & traditional height Adirondack Chairs in a variety of colors, but please call or stop by for availability. Special orders are available of any item shown in our catalog.